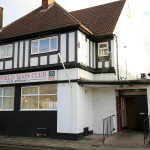 Hatfield Main Club is situated in the heart of a mining village providing the community with good value for money drinks, live music and sky sports, everything you would expect to find in a working men's club. Abbey in Dunscroft shows football on TV. The pub has terrestrial TV. Harvesters in Stainforth has a car park. The pub has an outside area, it has a dart board. Harvesters has a pool table. The pub shows football on TV, it has Sky Sports. Harvesters has terrestrial TV. Broadway Hotel in Dunscroft has a car park. 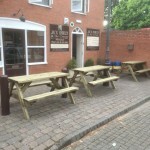 The pub has a function room that can be booked, it has an outside area. Broadway Hotel has a smoking area. The pub has a dart board, it has a pool table. Broadway Hotel shows football on TV. The pub has Sky Sports, it has terrestrial TV. Old Club in Stainforth has a beer garden. 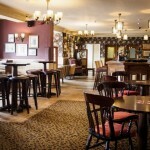 The pub has a function room that can be booked, it has an outside area. Old Club shows live comedy. The pub has a dart board, it has live music events. Old Club has a pool table. The pub has a big screen, it shows football on TV. Old Club has Sky Sports. The pub has terrestrial TV. Stainforth Central Club in Stainforth has a beer garden. The pub has a function room that can be booked, it has an outside area. Stainforth Central Club has a dart board. The pub has DJ's, it has karaoke. Stainforth Central Club has live music events. The pub has a pool table, it shows football on TV. Stainforth Central Club has terrestrial TV. Here at The New Inn we pride ourselves on our good quality food and drinks. We always try to exceed the guests expectations in everything we do and offer. Jack Hawley at The Grange in Hatfield serves real ale. 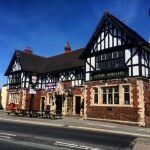 Ingram Arms in Hatfield has accommodation. The pub has a beer garden, it has a car park. Ingram Arms has disabled facilities. The pub gives a warm welcome to dogs and their owners, it is a family friendly pub. Ingram Arms serves food. The pub has a function room that can be booked, it has an outside area. Ingram Arms serves real ale. The pub has a real fire, it has free WiFi. Ingram Arms has a dart board. The pub has DJ's, it has karaoke. Ingram Arms has live music events. The pub has a pool table, it has a big screen. Ingram Arms shows football on TV. The pub has Sky Sports, it has terrestrial TV. 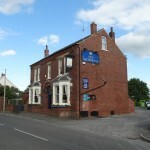 Ingram Arms is a member of Cask Marque. Blue Bell in Hatfield serves food. The pub serves real ale, it shows football on TV. Blue Bell has terrestrial TV. Old Anchor Inn in Fishlake has a beer garden. The pub gives a warm welcome to dogs and their owners, it has an outside area. Old Anchor Inn serves real ale. The pub has a smoking area, it has a dart board. Old Anchor Inn has live music events. The pub has a pool table, it holds quiz nights. Old Anchor Inn has a big screen. The pub shows football on TV, it has Sky Sports. Old Anchor Inn has terrestrial TV. Hare & Hounds in Fishlake serves food. The pub serves real ale.